Pull the ground , skip ! Lift , to build a mountain ! I close you find a hole ! 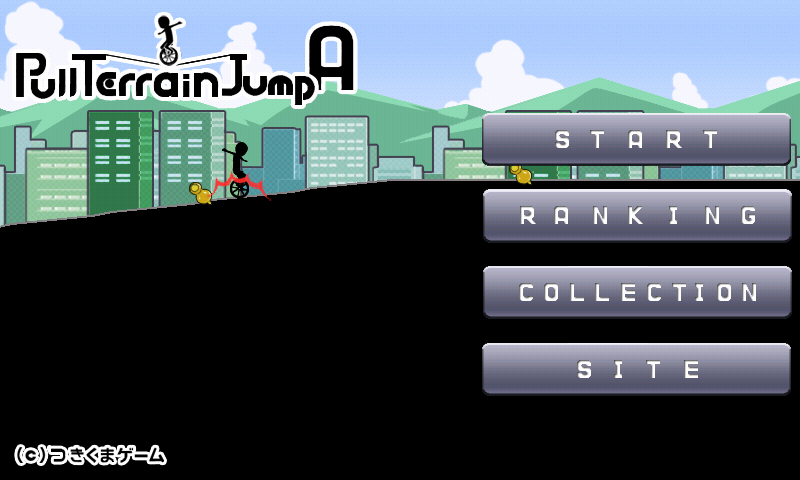 Let you change the terrain with your fingers , pull the person , makes survived longer at 1 meter runs on a unicycle "human"
It is a simple game to play with one finger . The run was fire unicycle "people" do not know that it stop ! In order to have survived longer at 1 meter him , to try to help you travel by changing the terrain with your fingers ! The leap to let jump is annoying obstacles ! When you become so fell in cliff , close quickly , to invert to make the wall large truck when coming toward ! Enemies to interfere in one way or another of the "people" will come out , but try to be help him with a brilliant finger judgment of you! The Prove to everyone memories that were built in the three-legged race with him the ( score ) and because it corresponds to the net rankings !